Orchard updates the lender lendscape, notes that new lenders keep being launched, however they tend to be focused on niche markets. Avant named #1 in customer service by Lending Tree in personal loan category. PeetStreet, a real estate crowdfunding platform, reaches $75m in funded deals. In comparison, Sharestates and RealtyShares passed $100mil 3 months and 6 months ago. A reminder that the FSOC claims marketplace lending should be monitored as it could pose a potential sistemic risk to the financial markets. Indonesian regulator is taking applications for p2p platforms. Deadline is July 2nd. 100s of platforms seen applying. After Commerzbank entered SME marketplace/p2p lending with their Main Funders product, Rabo Bank is also announcing their interest. Today’s vote on Brexit (or Bremain) impacted the fintech sector, no matter the result, due to uncertainty scaring capital commitments. Even in the chopper waters of a anemic economy, platforms are continuing to enter the space. Recently Orchard points to more niche platforms. Online lending platform Avant is pleased to announce it’s customer experience has been rated #1 by customers according to LendingTree. LendingTree®, releases a quarterly list of the top customer-rated lenders on its network based on customer reviews. The list features the top lenders and lending platforms in LendingTree’s core loan marketplace categories: Mortgages, Personal Loans, Auto Loans, Student Loans, and the newly added satisfaction rating segment, Business Loans. Avant was ranked first in the personal loan product category for the first quarter of 2016. At its core, Avant is a tech company that is dedicated to creating innovative and practical financial products for all consumers. To date, Avant has secured more than $1.7 billion in funding and another $1.8 billion through its institutional marketplace. More than 500,000 loans have been issued worldwide through the Avant website. Avant operates under the name AvantCredit in the United Kingdom. Avant has been featured in publications such as The Wall Street Journal, The New York Times, TechCrunch, Fortune, Bloomberg and Crain’s Chicago Business. In 2015, Avant was named to Forbes America’s Most Promising Companies list as well as Forbes list of Next Billion Dollar Startups. Find out more at www.avant.com. Unsecured loans originated through the Avant platform at www.avant.com are made by WebBank, a Utah industrial bank. On the heels of last week’s product launches, PeerStreet, a marketplace for investing in real estate backed loans, today announced that it has reached several major growth milestones. The platform has funded more than $75 million, with thousands of investors now active on the platform. Additionally, the firm has returned $25 million to investors with zero losses to date. PeerStreet officially opened to all accredited investors in October 2015 and provides investors a unique opportunity to invest in institutional-quality real estate backed loans originated by professional lenders across the country. Comment: yesterday’s news, but still very important, worth a reminder. 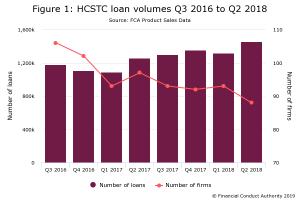 According to the FSOC, marketplace lending platforms in the U.S. reported rapid growth in 2015, with varying estimates suggesting $18-36 billion in loans originated over the year and a cumulative $40-50 billion in loans originated to date. The FSOC, created in response to the 2007-09 financial crisis by the Dodd-Frank Wall Street reform act, had said in last year’s review that the precursor to marketplace lending – known as “peer-to-peer” financing – should be monitored. A significant number of parties are scurrying to submit their applications to run peer-to-peer (P2P) lending platforms, the latest in financial technology (fintech) initiatives being carried out by the Securities Commission (SC). Sources said there could be as many as 100 parties applying for a licence to run the platform. Submissions have been open from May 2 and will close on July 2. The P2P is the second initiative by the SC in the fintech space after equity crowdfunding (ECF). Six parties were picked to run ECF platforms and it was speculated that there were around 30 applicants then. Despite only 25 percent of the population, 60 million Indonesians, having bank accounts, financial technology “fintech” startups have found a robust niche market to serve in the country. An online portal called Cermati, for example, which finds and compares financial products in Indonesia, “aggregators”, has recently closed a seed funding round led by local venture capital firm East Ventures and Japan-based Beenos Plaza. Aside from Cermati, another aggregator called Cekaja is also making headway. Payment gateways are gaining traction in the fintech space as well, with Doku and Veritrans leading the way. As the key regulator for protection of financial services consumers, the OJK has taken numerous deliberate measures like setting minimum paid-up capital, conducting fit and proper tests for board members and running regular and ad-hoc audits on financial service providers. Therefore, as with traditional financial services, the reason fintech should be as heavily regulated is because it bears as much responsibility as its traditional counterpart. For now, it’s not about the nominal amount of funds being managed or the size of the market, but the level of trust consumers put into these companies and that should be reason enough. Last week Rabobank outlined a similar plan to run trials of P2P lending, connecting high net worth customers with businesses in need of financing. Let’s not deceive ourselves: the alternative finance industry is, very honourably, trying to support the riskiest end of the investment spectrum. This could either be small businesses that are unable to get credit from the banks at a sensible rate, or the startup and scale-up scene where our great hopes for the future are still unable to find all the investment they need and have to be boosted by tax breaks to encourage investment. For the platforms that are channelling this investment, the macro economic shock of Brexit will have a couple of immediate consequences for them. The first is the behaviour of private investors who are the life blood of this market. Economic uncertainty and potentially further austerity will make us as consumers look much harder at what we’re investing in, and our ability to monetise our investments should we need to do so. Second, the consequences for the business raising through these platforms cannot be underestimated. We will see a contraction of investment across the market and a number of platforms with lower quality credit portfolios potentially exit the space. Compounding the situation will be the fact that the alternative finance industry has itself been investing in future growth, hiring staff ahead of revenue and profit. However, there are also some potential benefits that could come from a Brexit. Leaving the EU will have an impact on valuations, which is arguably a good thing for what is a relatively frothy market at the minute. Valuations coming down may help to encourage investors back in because possible returns would be more attractive.